Because no one works the same way. Today’s air traffic controllers are trying to communicate with and coordinate hundreds of airplanes occupying the same airspace. That’s today’s problem. In the past, about 50 years ago or so, the problem was with the devices used to communicate. Headsets were very heavy and unbearably uncomfortable. United Airlines asked anyone with a better design to come forward. Two pilots created a lighter, more comfortable headset. The design was such a hit that the pilots formed the company we now know as Plantronics. Plantronics headsets were standard at the FAA, the Bell Telephone Company and NASA, just to name a few companies and agencies. Remember Neil Armstrong’s famous first words as he stepped on the moon? You can thank Plantronics for that audio. 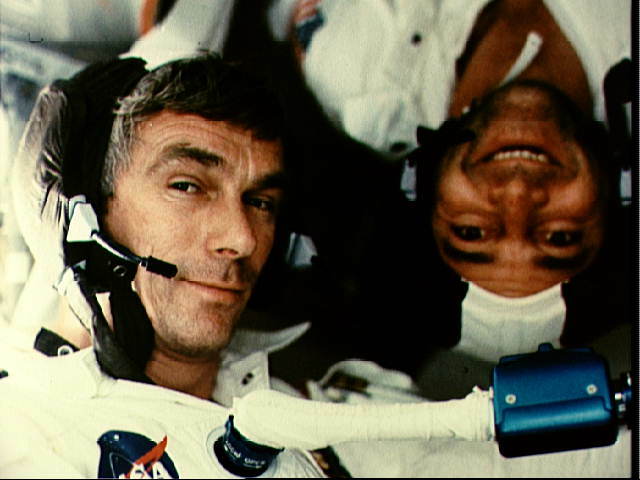 Over 50 years later, Plantronics is still achieving astronomical success. Now the technology is readily available to everyone, from headphones for audiophiles, to headsets for business professionals. 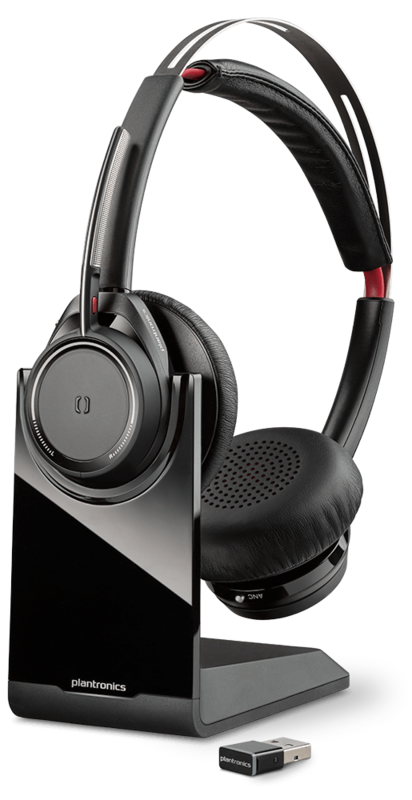 The Plantronics EncorePro HW500 series is arguably one of the most popular choices by businesses and call centers. 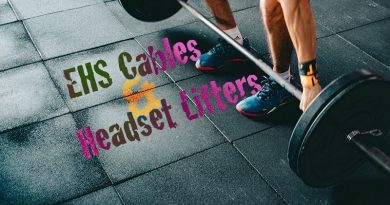 The headsets feature “quick disconnect” cords and are available in a variety of models. Quick disconnect means that the headsets require an adapter to plug into your telephony device. Adapters with modular or direct connector cords are designed for desk phones. The desk phone adapters will not work with every brand and model of phone, so double check compatibility. There are also adapters with 3.5mm cords and other connector types. 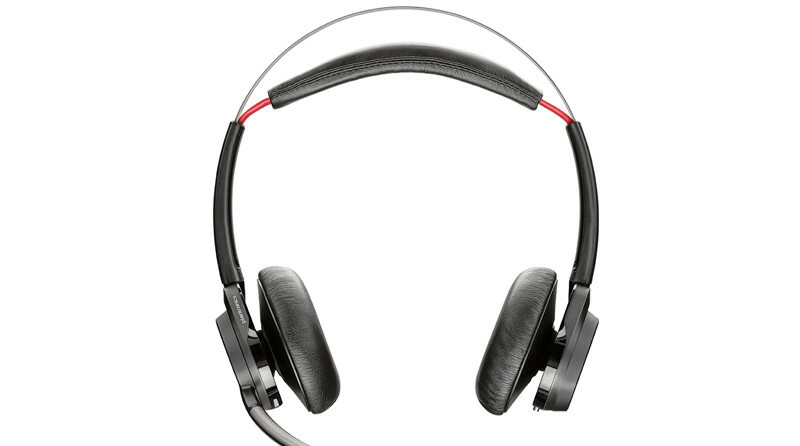 What makes the Plantronics EncorePro HW500 series stand out are the headsets’ durable and comfortable design. The headsets resist normal wear and tear, and are built for longevity. Padding and lightweight constructions ensure relaxed, all-day use. The Windows and Mac companion. 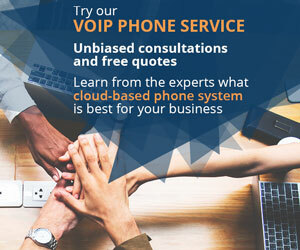 For those of you that are using a PC or Mac for telephony, such as through a VoIP softphone application, the Plantronics Blackwire 725 is the headset of choice. 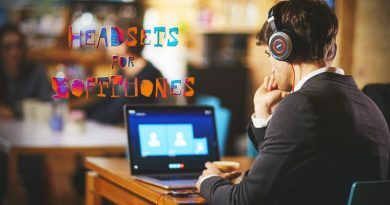 It plugs into your computer’s USB port, and performs well beyond most high-grade desk phone headsets and music headphones. The headset delivers rich voice and multimedia audio through hi-fi stereo speakers. Callers sound as natural as though they are standing in the same room, and music and videos are incredibly immersive. Active noise cancellation (“ANC”) dramatically reduces the amount of background distractions. Sounds outside of your speakers are blocked from entering your ears. The feature can be turned on or off through the built-in ANC switch. More features include digital signal processing, dynamic EQ, inline call management controls, a padded headband and an included carrying case. The yin to your yang. One of the newest Plantronics headsets is the Voyager Focus UC. Think of it like the perfect open office assistant. It completely blocks out background distractions, notifies others when you’re busy and offers the best sound possible. Create a bubble of concentration—the ultimate Zen warrior for your calls and other audio. Like the Blackwire 725, the Plantronics Voyager Focus UC features active noise cancellation. The headset also includes a busy light indicator on the side of the speaker to let others know you’re busy. 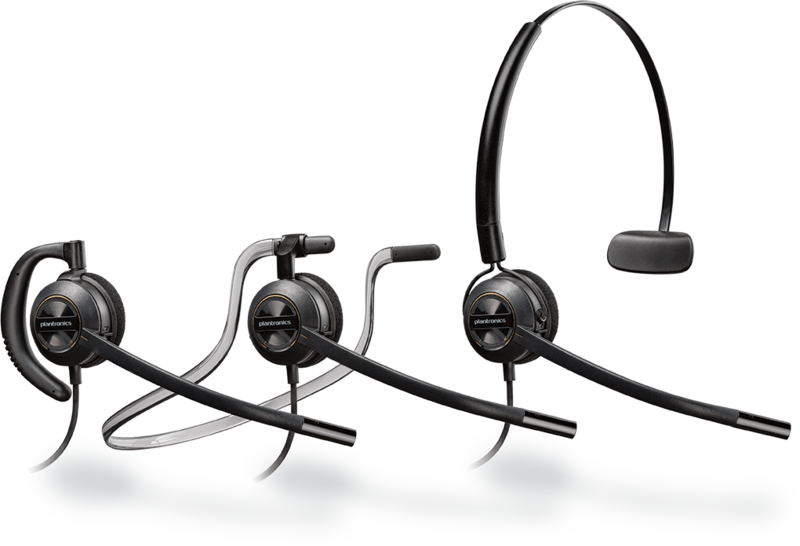 The Plantronics Voyager Focus UC is a Bluetooth headset. Pair it with your mobile device (smartphone or table) or the included USB dongle. Wirelessly take calls from your mobile device or a computer. Intuitive technology includes the ability to mute or unmute the microphone by pressing a button or by simply taking the headset off your head. Also, when a call is coming in, music will automatically mute. Audiophiles will appreciate the headset’s attention to detail. The bass, mids and trebles are all as clear as day. Since the headset is Bluetooth, you can pair it with any Bluetooth-enabled music player. Of course, call quality also superb. 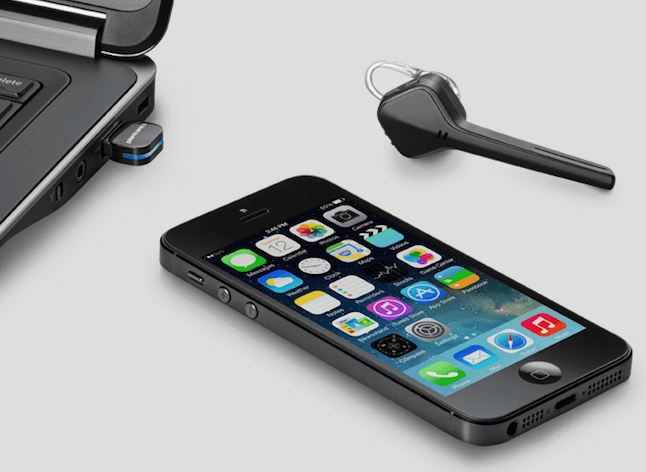 Any headset can feature Bluetooth and call itself a mobile solution. 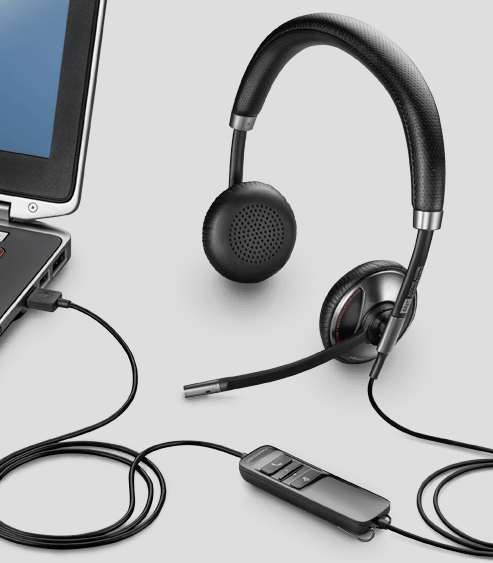 The Plantronics Voyager Edge UC B255 truly is for on-the-go professionals. It even blocks noise from gusts of wind hitting the microphone—for those days you’re on the top of a tower, in a convertible, or wherever your job takes you. The headset’s three-element microphone pinpoints your voice for superior noise and wind cancellation. No more background distractions, wherever you’re taking a call. 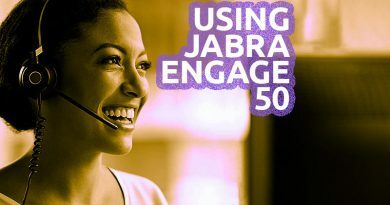 Answer a call by placing the headset over your ear. End a call by removing it. The headset’s smart sensor technology makes it easy. The Plantronics Voyager Edge B255 also includes a portable charging case and USB dongle. Pack the charging case in your suitcase without requiring much extra room. The USB dongle lets you take calls from your laptop’s VoIP softphone application. Plantronics has been flying high for a while. Maybe what goes up doesn’t have to come back down. 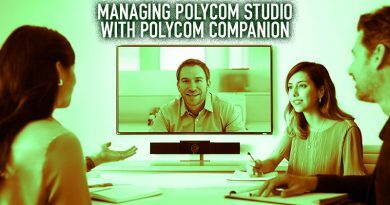 Any kind of work lifestyle can take advantage of Plantronics’ years of audio know-how.